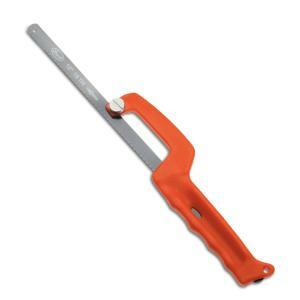 This 10" Mini HackSaw has an ergonomic handle, made of tough resin. Design allows getting into the most difficult to reach areas. Includes a quick change blade. Replace blade with any standard hacksaw blade when necessary.